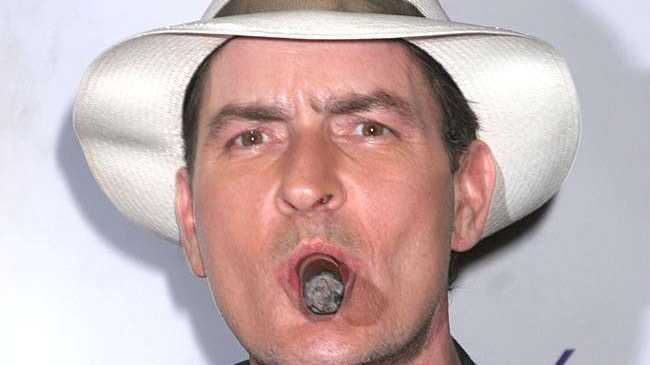 THE Two and a Half Men crew are missing Charlie Sheen. The production team behind the sitcom - on which Ashton Kutcher replaced Charlie after his hard partying lifestyle led to him being fired from the show - miss the way the actor used to joke around with them on set. A source told HollywoodLife.com: "Ashton is nice and he tries to do things to get us to like him more and more, but he kind of feels like a step dad. "He might be the best thing for the family, but everyone misses their 'original dad,' Charlie. "With Charlie, we knew we could push his buttons and joke around about his personal life all the time. Ashton is all business and doesn't like to joke around with the guys about his life. It's off limits." The insider added although the cast and crew are very happy with the way the ninth series of the show is going with Ashton in the lead role, they feel Charlie was better at standing up to show co-creator Chuck Lorre for them. The source added: "Chuck isn't the easiest guy to work with and Charlie could handle him in a way where the crew wouldn't get the brunt of it. "But Ashton and Chuck are super friendly with each other, so crossing Ashton is like crossing Chuck." After parting with the show Charlie launched a number of personal rants at Chuck, although he has since sobered up and made a full apology to the cast and crew of the show. He also called Ashton's entrance to the show last Monday the "best intro for a new a character on a TV show of all time."